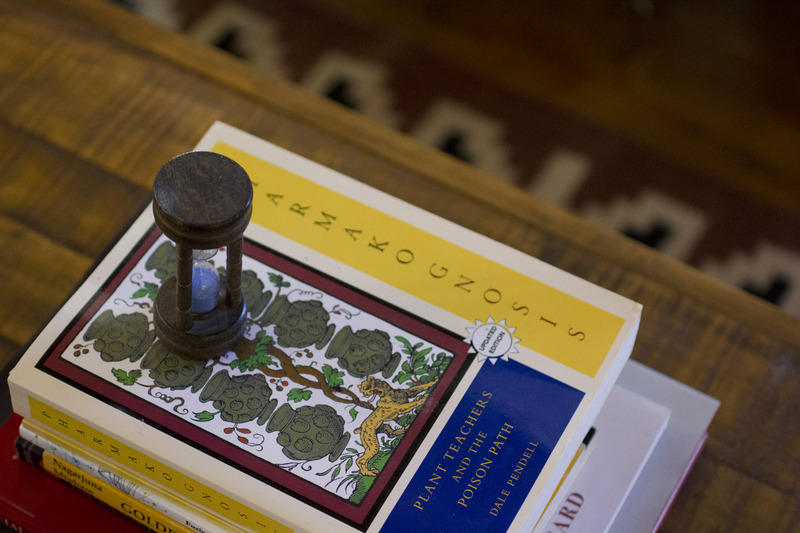 While attending a lecture about honey bees in February 2016, the presenter Benjamin Pixie, mentioned an "alchemist" that lived in Taos. The equation of the words alchemist + Taos sparked my curiosity immediately. The word "alchemist” currently is an amorphous term with a myriad of definitions, which gets thrown about abundantly, without much gravitas. At the time, Greg and I were contemplating moving from Los Angeles to another state, New Mexico was on my radar, specifically Santa Fe. The idea of moving to a beautiful location in a mountainous area that had a local alchemist combined with the proximity to our friends Cathy and Florian was extremely appealing. Next step was to find out why the presenter was referring to this fellow in Taos as an alchemist, was he for real? 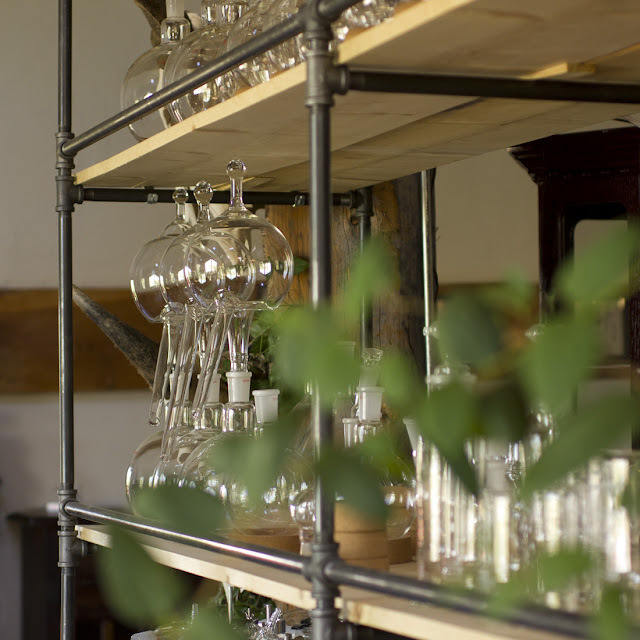 In our modern day, the term alchemy or alchemist usually relates to a transformative process with a product, especially if the process involves plants or gold. For example there are visual artists, psychotherapists, musicians, chefs and aromatherapists who use the term, often with another word acting as an adjective, like visual alchemist. Even I have used the term, first to describe my illustration work and most recently in reference to perfume. After returning home from the very informative and fun lecture by Benjamin, I googled this alchemist named Avery Hopkins. To my surprise and further curiosity, he seemed closer to the real deal than anyone I had ever met or heard of. Thus, I became more committed to moving to New Mexico and meeting this Avery dude. In November, 2017, after several attempts, our schedules aligned and we met for lunch at Clafoutis, a french bakery here in Santa Fe. I wasn't sure what to expect, from the photos and instagram feed he seemed like a very focused and intense fellow, besides being young and handsome. Sure enough, all those descriptives can be used to describe Avery, as well as charismatic, visionary, intellectual and compassionate individual—equating to a very magnetic person. I remember quite clearly when he walked into the room at Clafoutis, he seemed part god, as if he were the manifestation of Mercury himself, the conductor between the mortal and immortal realms. Although it all happened within seconds, I wondered if everyone in the crowded cafe was aware that a semi god had just arrived. He had the same energetic dynamism and beauty that I noticed with Tom Ford, it's an extremely arresting, mesmerizing quality that includes beauty, charm and a heightened electrical charge. No one if the restaurant seemed to notice, thus I assume it was just me. As I attentively listened to him speak of alchemy, his journey and processes, it became quite clear this was the real deal and I wanted to learn from him! I wondered if my intellectual capacity was at a level to truly understand, so much of the language he used was full with the scientific jargon that usually was way over my very artistic, poetic head. Eventually we closed the place down and I left in a spellbound state. Since then I have had the extreme fortune to spend more time with him and ever so slowly begin to understand what he calls operative alchemy. 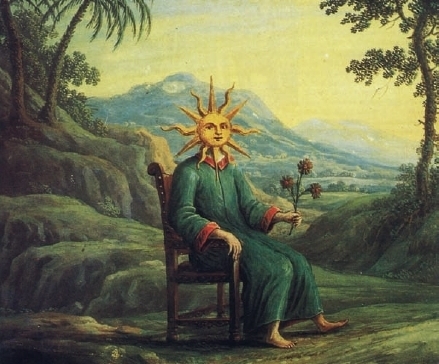 This is where we transition "from 'interested looker' into full-fledged alchemical practitioner"1 we begin to fully absorb the various realms of alchemy by observing the internal and external dynamics within and without. As with learning any new skill set or language, allowing material to gently to work its way in derives the best results. We move from base matter to a more refined understanding and then go through the process again and again, like the cycle of the Phoenix, the ouroborus, in a constant loop. 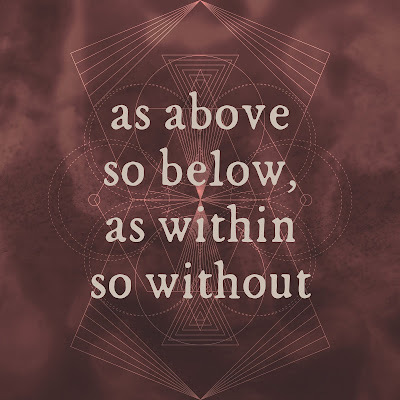 I learned the term alchemy to mean "transformation", the art of transmutation, referring to consciousness or a substance from a base form to an enlightened state. This definition appealed to me because it covered both the psychological (internally) and scientific (externally) aspects of the word. Avery, after years of research, has come to define alchemy as the understanding of how consciousness relates to matter, a map by which all experiences are generated and transformed. Listen to an interview with Avery on the Pete Evans podcast at I-tunes and/or Spotify, Learn more about Avery and his business by heading over to the Kymia Arts website. 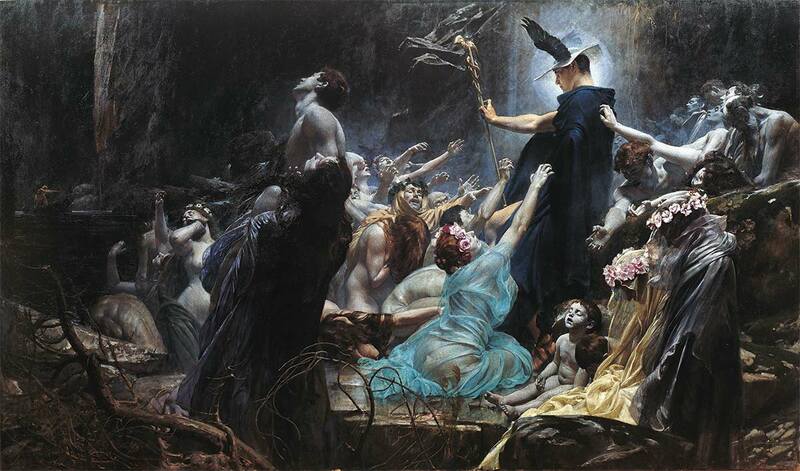 Images: Photo of Kymia Arts lab, Mercury oil painting by Adolf Hirémy-Hirschl, 1898. Galería Belvedere, Vienna.